When it comes to paddle boarding in colder waters, wetsuits are perhaps the most important accessory. While not designed to keep you dry, a wetsuit’s main job is to preserve heat, so you can stay out on the water longer, warmer. 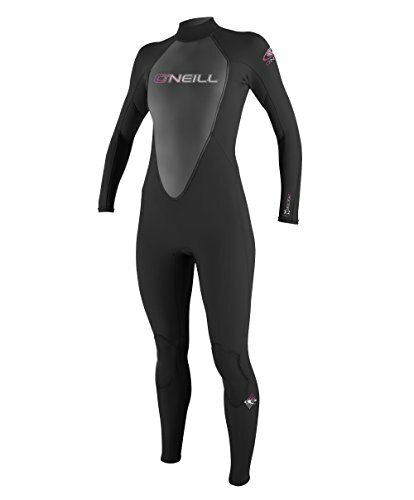 Wetsuits are made from neoprene: a flexible, rubbery substance. The many layers of the suit trap air and water, acting as insulation and slowing the process of escaping body heat. Neoprene is the go-to material because it’s lightweight, durable, effective, and still allows the wearer to comfortably move without too much restraint. The thickness of a wetsuit is most often measured in millimeters (mm). It is usually marked with multiple numbers (2 or 3), separated by a “/”. For example, let’s say there’s a suit marked 6/5/4. The first number, the 6, indicates the thickness of the torso part: 6 mm. The next number, the 5, is the thickness of the arm sleeves. Many designs only have these two numbers: for torso and arms. Some have a third number, which is for the legs. For a chart showing the various thicknesses and temperatures, click here! 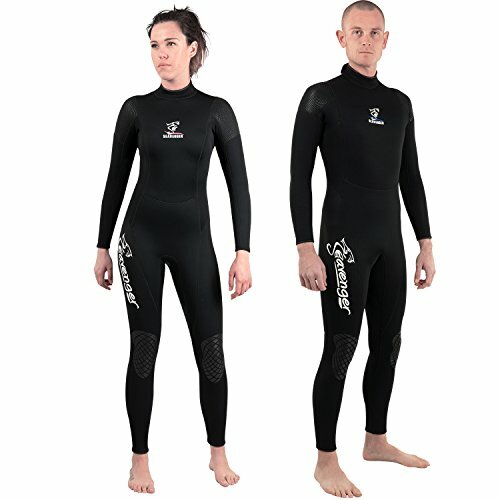 There are so many different types of wetsuits: from full suits to springsuits, long johns and short johns, the list goes on. The main and most popular types, however, are full suits and spring suits, which we will cover and provide the best products of their kind. Full suits have long sleeves and cover the whole body. They are intended for cold to very cold water activities. The colder the water, the thicker you want the suit to be, as it will more effectively trap body heat. It’s important to note, however, that thicker suits can be more difficult to paddle in due to lower flexibility. Spring suits (sometimes called a “Shorty”) have short legs and usually short sleeves, though some come with long sleeves. They are thinner than full suits, and are mainly worn to protect skin from sunburn, while keeping the body warm in cooler waters on warmer days. 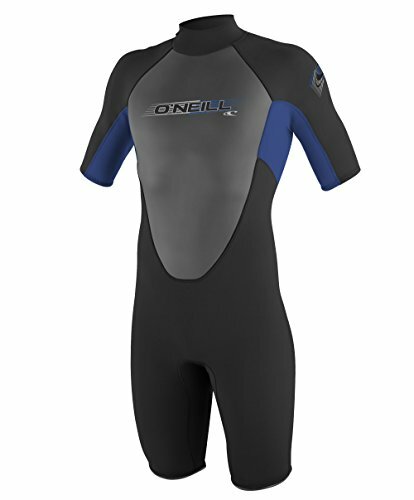 Note: Wetsuits are sold as muli-purpose for a combination of water sports. You won’t really find a wetsuit specifically made for paddle boarding. Various styles are made with surfers, paddle boarders, scuba divers in mind and it’s up to you to pick the best suit style to match your intended use! Now that we’ve differentiated between the two major types of wetsuits, here are some of the best paddle board wetsuits available! 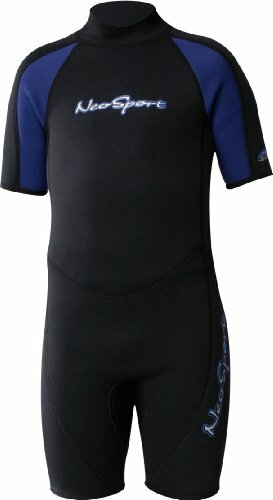 The Seavenger is one of the most praised wetsuits, with over 350 reviews on Amazon and an average rating of 4.4 out of 5 stars. The 3 mm thickness allows the wearer to preserve heat, but also move around quite freely. 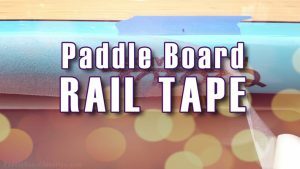 It was designed with paddlers in mind, giving extra room in the armpit and knee areas for a wider range of motion. This suit manages to balance comfort with durability, making it truly feel like a second skin. For easy putting-on, the zipper, located on the back, has an extra long leash, so you can zip it up alone. Another key feature is the pads, found on the shoulders and knees, which protect from wear and abrasions. The Seavenger has both men’s and women’s sizes. Men’s range from XS to 6XL, and women’s range from size 3-15. Prices vary from size to size. With over 170 reviews and an average Amazon rating of 4.3 out of 5 stars, this suit is perfect for women on the water. 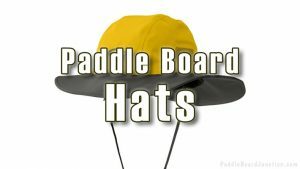 It is well made, durable, and comfortable to wear for paddle boarders. Like the Seavenger, the torso is 3 mm thick, so it isn’t suitable for very cold water, but works well in cool conditions and allows for free movement. NOTE: Many reviewers found that this product runs small. It comes in sizes 4-16, but it’s recommended that you buy 2 sizes larger, since the neck and arms tend to be tight. This lightweight suit is built for comfort. It’s made with short sleeves and legs, soft neoprene, yet still keeps your body warm. 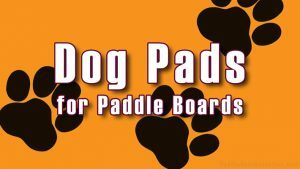 The design is extremely flexible, allowing you to paddle, swim, etc, without any discomfort or abrasions. It is a thinner suit, (only 2mm thick), but it works well in cooler waters with temperatures in the mid 50’s (F) and up. The Hyperflex is perfect for cooler conditions. It is thinner, but keeps you warm for longer periods of time in 60+ degree (F) waters. It is very comfortable, and the sizes run perfectly. Remember, a wetsuit should be snug, but not too tight. They generally loosen a little after a couple uses in the water. The sizes range from 2 to 14. This model is a great suit for children ages 2-8. It’s soft, comfortable, and protects the skin from irritants and UV rays. Though not a flotation device, wetsuits do add some buoyancy, making swimming easier. The NeoSport is easy to put on and take off. It comes in sizes 2-8, with the size corresponding to the child’s age. 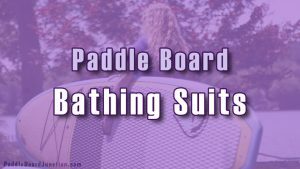 Wetsuits for paddle boarding can cost a decent amount of money, and proper use and care can make your suit last a long time. When finished using, wash it by hand in cold, fresh water. Some detergents can damage the material, so either just rinse it, or use cleaning products made specially for wetsuits. Once finished rinsing, hang the suit in a place not in direct sunlight to dry. Long-term exposure to the sun can loosen and weaken the neoprene. DO NOT use a dryer. Wetsuits have been known to occasionally smell. To remove the odor, gently hand wash with baby shampoo or special detergent for suits in warm water. Hang to dry. 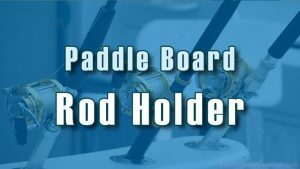 For more detailed instructions on paddle board wetsuit maintenance, click here. 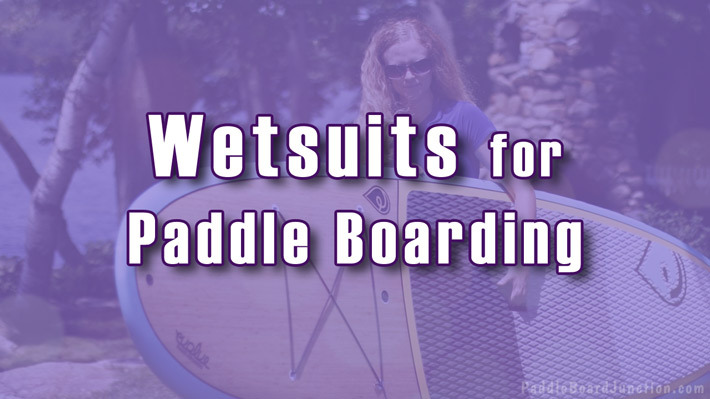 Wetsuits are an important investment for paddle boarders that go out on cooler waters. They preserve body heat, allowing you to stay out longer, and more comfortable. They come in all types and thicknesses. When choosing the right wetsuit for paddle boarding, the most important thing to consider is weather conditions. Full suits cover the whole torso, arms, legs, and keep you warm in colder conditions. Spring suits have short sleeves, protecting you from various irritations and the sun’s rays, while maintaining body temperature. When it comes to sizes, some models run small, some loose, so many recommend buying two sizes, keeping the one that fits best, and sending back the other. Once you’ve purchased a product you’re satisfied with, be sure to properly care for it to ensure long-lasting use. That’s all, folks. I hope you find the product that suits you!